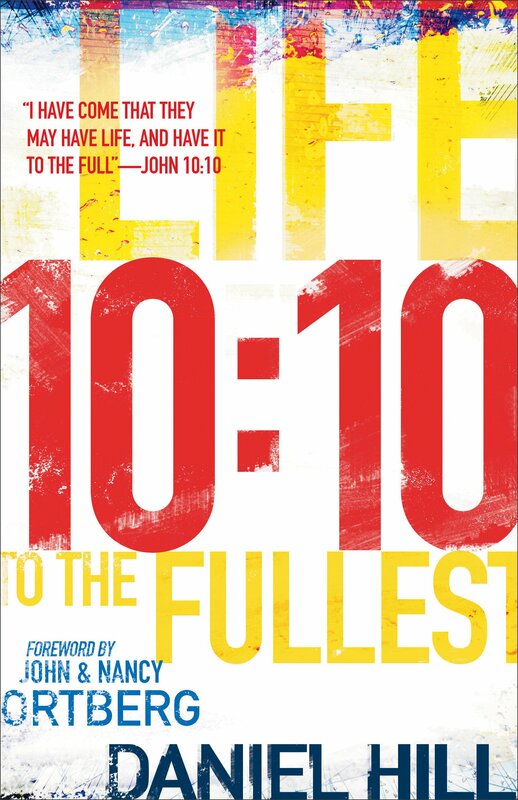 The whole thing feels very surreal… in less than a month my book “10:10: Life to the Fullest” will be released through Baker Books!!! I have heard a number of authors compare the completion of a book to the process of delivering a baby (obviously as a male I can’t make any claims on that lol). I’ve heard even female authors use the imagery… not to describe the pain but the process. You carry something with you for a long period of time, and then suddenly it becomes alive. You’ve known it since the inception, but now the rest of the world will be introduced. This is the type of question(s) that I don’t think a younger person can or should try to comprehensively answer. At least for me, I felt the need to experience a number of different Christian traditions before I could take any type of stab at that. I also felt like I needed to sit under a chorus of diverse voices so that my learnings could be multi-tiered. And frankly, I just needed to live some life. I don’t see the publishing of this book as any type of credential that establishes me as an expert on anything. Far from it. But I have been asking this question for a long time, and I’ve asked it of so many different people, churches, and communities. Because of that, the book represents a real threshold for me – I am just now hitting the point in my life where I feel enough confidence and courage to share some of those thoughts on paper, and 10:10 represents the sum of my life work to this point. As the book gets ever closer to releasing, I’ve been sharing the multitude of feelings I’m experiencing with close friends. Many of the feelings fall on the celebration side, as I imagine they should. This project represents a lot of blood, sweat, and tears. The book is my story, and my understanding of Jesus. It represents so many stops and starts, rejections and affirmation. It feels special to finally have it in print. I want and need to celebrate that. On the other hand, I have wrestled with a number of tensions at every stage of the journey. Some are more internal, like self doubt as to whether I am qualified to write it. But there are also a number of external tensions that have been difficult to navigate. For instance, the current state of publishing requires that authors take on the task of intense self-promotion, and that is really difficult for me. There is also incessant conversation about the need to have an author “platform” – a means for distinguishing yourself from the millions of other voices promoting their work. This too rubs me the wrong way and often feels like it creates an internal civil war between the Christ way of humility and the marketplace way of lifting yourself up. And that doesn’t even get to the racial/cultural power tensions that I live with. It’s a fact that white males have a tremendous advantage in the Christian publishing world. It doesn’t mean that it doesn’t require those of us who are white males to work hard, be opportunistic, and write at a high level. But the uncomfortable truth is that there are a number of women and non-white writers who work just as hard as me and write way better, but who are never heard in the larger marketplace because of their social location. Ugh. As I’ve had these conversations with trusted friends, I have been consistently encouraged to live in both spaces at the same time: celebration and tension. It doesn’t have to be one or the other. I can celebrate that which has transpired, and not feel guilty about asking loved ones to join me in that space. But I also feel the need to acknowledge some of these tensions… to name them and even explore them a little bit. So I’m going to experiment with an anti-marketing strategy. With the book so close to releasing I should probably start talking about how awesome it is (that’s a joke in case my humor doesn’t come through!) But instead, I’d rather talk about some of those tensions I’ve been grappling with, and I plan to write a few posts on that over the next week. So… if you are part of my immediate or extended community, I invite you into this space with me. I am celebrating the significance of the moment I’m in, and as a words person I happily invite you celebrate with me (smile!). But I also invite you into the space of tension… the place where I am wrestling with these contradictory realities that seem to live side-by-side alongside with my celebrations. I’d love to hear your thoughts on this as I share over the next week or so. Thanks, and much love to you all! Oh, Daniel! You’re a really fine, salt-of-the earth Midwesterner. I understand what you’re saying about the self-promotion and platform. Your humility shines through in this post and in all the other ones I’ve read. Thank you for sharing your insights and experiences with us and soon the world. I think it’s exciting! Preach it, Brotha. 🙂 Looking forward to having a read of 10:10 soon too. No prob. 🙂 So my mom was volunteering at Seeds and saw your book and excitedly told me about it and I responded by saying the title and she responded, “I’m going to buy that!” Well of course I am too. And if I come to Chicago/RC3 this summer, maybe I can even get it signed by the author! My “verse of the day” was Philippians 2:13. It might provide some insight within this context. Please don’t ever lose your humility or authenticity… bask in the glorious tension!